Home / Beat It / Billie Jean / Current Events / Dangerous / Earth Song / Frank DiLeo / Jackson 5 / Michael Jackson / Off The Wall / Smooth Criminal / Thriller / Who's Bad / Who's Bad Has A Good Thing Going! Who's Bad Has A Good Thing Going! 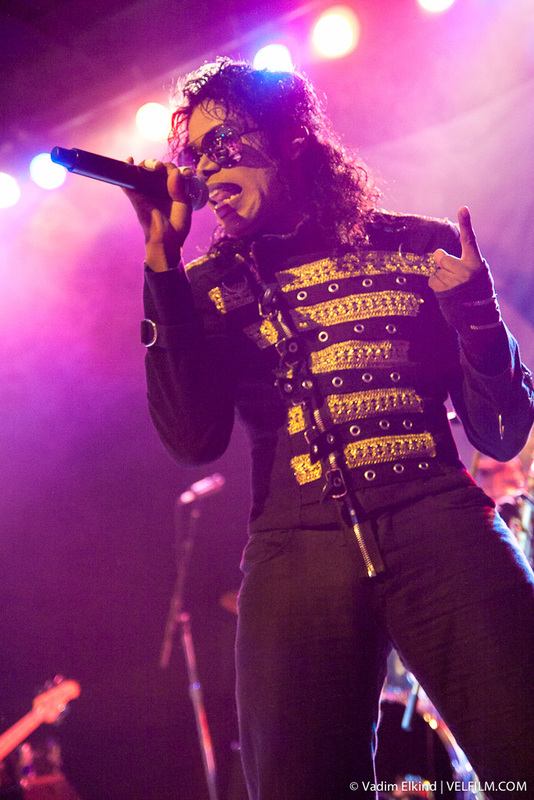 Michael Jackson might be gone, but his music lives on through the performers of Who's Bad, a tribute band currently touring the US and the world. 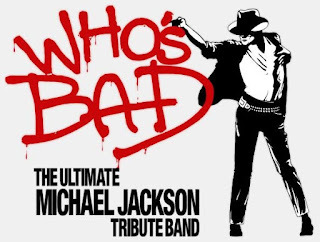 Two performers and a full band with horn section bring the King of Pop's discography to the stage each night in a concert for the ages. If you are looking for a full Michael Jackson concert experience including choreography and crowd interaction, then your search is over! Other than maybe the Beatles or Elvis Presley, there really isn't one music artist that can compete with the legacy of Michael Jackson. From his beginning in the mid 1960s with the Jackson 5 through the present day, Jackson's music continues to spread throughout the world and from generation to generation. My personal experience began in 1983 with what is now the best-selling album of all time, Thriller. I can vividly remember dancing and rollerskating to hits like "Beat It," Billie Jean," and "Thriller." Even at a young age of seven, I could tell that many people connected with Jackson's music. 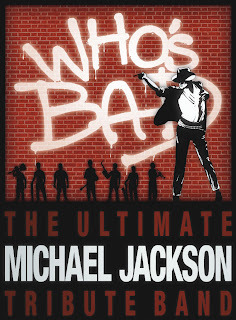 "As the curtain opens on a Who’s Bad performance, every MJ fan feels the adrenaline, screams at the sight of that unmistakable silhouette, and succumbs to a surefire Michael Jackson sing-along. The energy is purely magnetic, the musicianship is first-rate, the dance moves deftly inspired." I had a bird's eye view of the entire stage from the balcony of the MPAC. As I eagerly awaited the show to start, I wondered "what song would I choose to begin a MJ tribute show?" The five-piece band came out and gave the crowd a nice instrumental warm-up. Then the music stopped...out walks Taalib York aka "Bad era Michael" and stops in front of the drum set center stage. JAM!!! Less than one minute into the song, the tone was set. The dance moves were "spot on." The side-to-side slide, toe tap, the leg kick, the moonwalk...they were all on display bringing the ladies to their feet and me waiting for Michael Jordan to swing-in with a thunderous slam dunk! It's almost not fair to call York an impersonator. He is so "spot on" that he is nowhere in the league of the stereotypical bad impersonators that you are used to seeing. His performance of Jackson's dance moves was top notch. "Wanna Be Startin' Somethin'" came next continuing the high level of energy created as the crowd was introduce to the band. Having not researched the band before the show, I was surprised to find a new Michael coming in from stage left as York exited stage right. Where York excelled in dance, second frontman Joseph "Joey" Bell equally wowed with his vocals. Bell was primarily dressed in the "Dangerous era Michael" garb throughout the night and hit every "oww," "ee-hee," and "sha-mon" with incredible accuracy. All the pretty young things in the crowd rocked out to "P.Y.T." before then being invited on stage! After a brief introduction of most of the band, Bell invited some brave dancers to join him on the stage. After teasing them a little with "We Are The World," Bell danced with several ladies during "The Way You Make Me Feel." He spotlighted several girls (and boys) on stage displaying their best MJ dance moves. It was so much fun to watch. York again pulled out all the moves again including the anti-gravity lean. Then it was back to the Thriller album for one of my favorites "Human Nature." This was probably York's best vocal performance of the night. He worked the crowd at one point, even sitting in the front row with some lucky fans. Bell then ended the first half with "Rock With You." He got the crowd involved throughout the whole night, getting us to repeat "oww," scream, and wave our hands. I reiterate that the crowd really had a great time because the band presented the concert as more of a celebration of music for the fans to enjoy as much as a performance. After about a 20 minute intermission (which most of us needed to catch our breath,) we all anticipated what was yet to come. Bell was quick to ask us during the first half which songs we wanted to hear. After nearly losing an ear drum from the woman sitting next to me yelling "Billie Jean!!! ", I realized there would probably be a good 30 minute stretch of songs that we would all couldn't wait to see performed. The second half began with a book end from the Off The Wall album. York again showed off all his dance moves with "Don't Stop 'Til You Get Enough" and then took us back to MJ's beginnings. York and Bell went back to back with Jackson 5 hits "I Want You Back" and "I'll Be There." I think we all appreciated the inclusion of the early hits and being able to experience every decade of MJ's music. Bell then continued with "Remember The Time" and then left the stage in darkness. Trumpet player Ray McCall became the emcee, who had brought energy to the show all night. He began to pump up the crowd for what was to come, teasing drummer Archie Logan that we weren't ready for it yet. Well after much convincing from the crowd via cheers and screams, York walked out wearing a black Fedora and the bass groove to "Billie Jean" kicked in. We all went nuts as York made us feel as though we were watching the Motown 25 show. At one point, he moonwalked the entire stage and the crowd erupted. We had seen the dance move the entire night, but the eternal connection between the dance and the song made us act like it was the first time we had seen it. This performance began my favorite part of the whole concert. "Beat It" was next and definitely a complete performance. York donning a red jacket worked the entire stage, leading up to a front stage, guitar-shredding performance by Patrick Cross. McCall and the other half of the horn section (saxophonist Aaron McCoy) then took center stage and gave us a faux street fight. York broke up the fight which immediately led to the dance choreography as seen at the end of the music video. And speaking of dance choreography, zombies-like moves were seen in the next performance of "Thriller." I could see many people in the crowd dancing along with York, McCall, and McCoy during the song. The performance was complete with the footsteps and door sound effects at the beginning and the Vincent Price laugh at the end. Then for the final song of the night, Bell returned with the band's namesake "Bad." Another great vocal performance by Bell followed by a standing ovation from the crowd. The light remained low as the cheers and screams continued for the band. Sha-mon! There was more to come! Bell returned with the band for their first encore performance which was "Man In The Mirror." The vocals were spot on and at several points let the crowd take over the singing. Unfortunately, the clock ran out on the babysitter and we had to leave before the final song which was York taking lead on "Black or White." I had wondered throughout the show if York and Bell might share the stage for a song and judging from this video, the crowd probably did get a small taste of both performers. 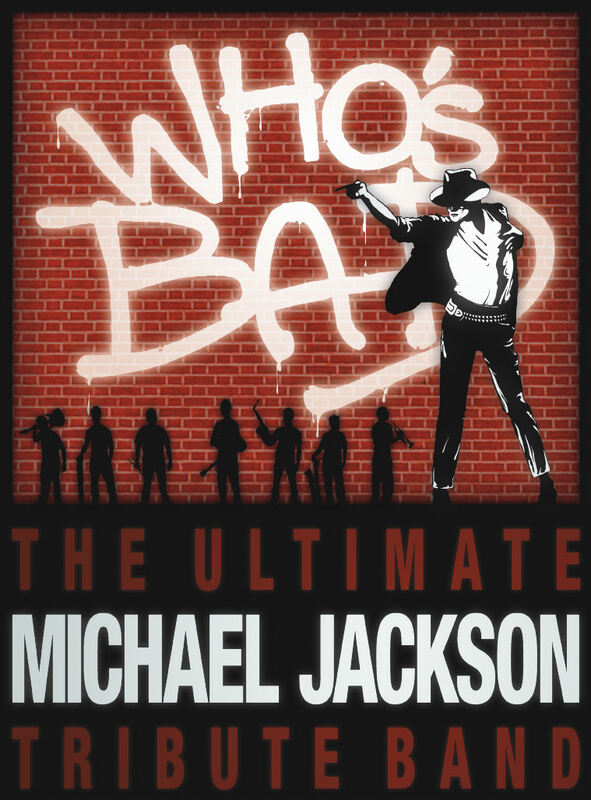 I'd highly recommend the Who's Bad concert, whether you are a die-hard Michael Jackson fan or just want to hear some great music that will stir up memories you forgot you had. The band is currently on a US tour that is mainly on the East coast, but do have a few shows in the Midwest and West coast. (View their tour schedule here.) I'd also recommend visiting the band's website WhosBadMusic.Com in general. You can learn more about the history of the band, view pics/video of performances, buy exclusive t-shirts, and connect on social media. Make sure you also visit the "Jacksonology" section featuring a family tree, photos, and interactive timeline of one Michael Joseph Jackson.